The auctioneer’s gavel had been hovering in the air for what felt like years. I’d submitted a £10,000 bid and was hanging on every sound and movement in the room. No one else appeared interested. Then, as the auctioneer’s arm began to swing, an internet bid for £10,500 landed. 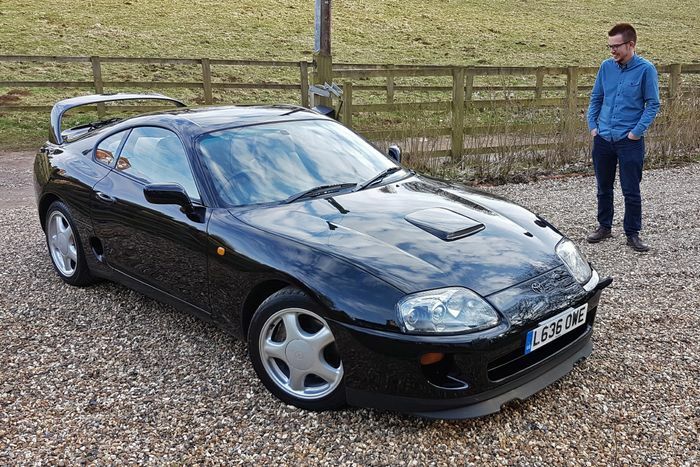 I hesitated, as I was creeping towards my limit, but the chance of me finding another one-owner twin-turbo Mk4 Toyota Supra was slim to none. It also seemed like the last opportunity for me to get my hands on one, given how values were rising like a rocket departing from its launch pad. 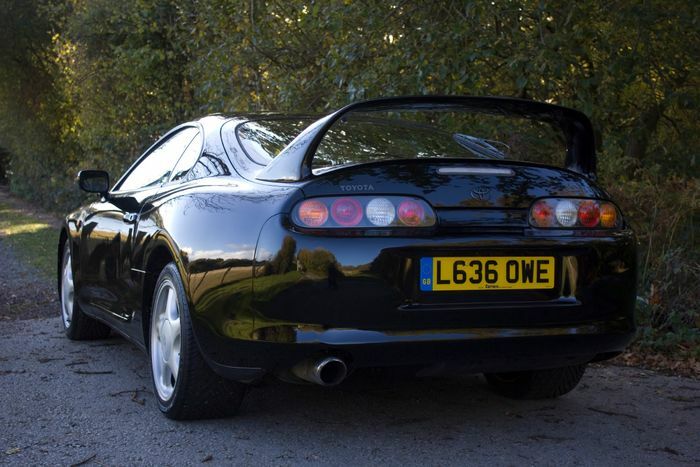 More to the point, it was also a completely standard UK-specification Supra. Only 623 had been produced, all of which featured desirable upgrades including better brakes, turbochargers with steel internals and a stronger rear-end assembly with a limited-slip differential. Nothing ventured, I thought, nothing gained. I raised my hand, no further bids came, and the hammer fell. ‘They’ve just cost you £1000,’ merrily remarked the auctioneer, waving in the direction of those corralling the internet bids. I didn’t share in his delight and, with fees, the total came to £12,350. You might think that a steal for a rare Supra but there was a catch. 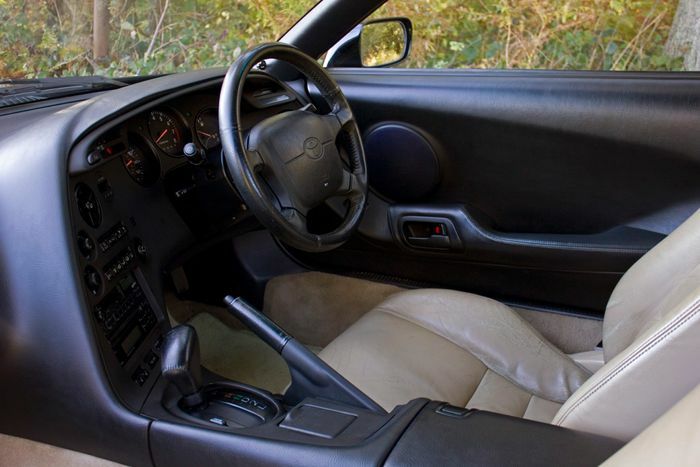 Those who would cross the street to look through its windows, in the hope of seeing the gear lever of a six-speed manual transmission, would walk away disappointed; yes, it was a four-speed automatic. However, I wasn’t concerned. For starters, the 1595kg Supra had always been a GT rather than a sports car. Consequently, the automatic transmission would probably be a more befitting option. 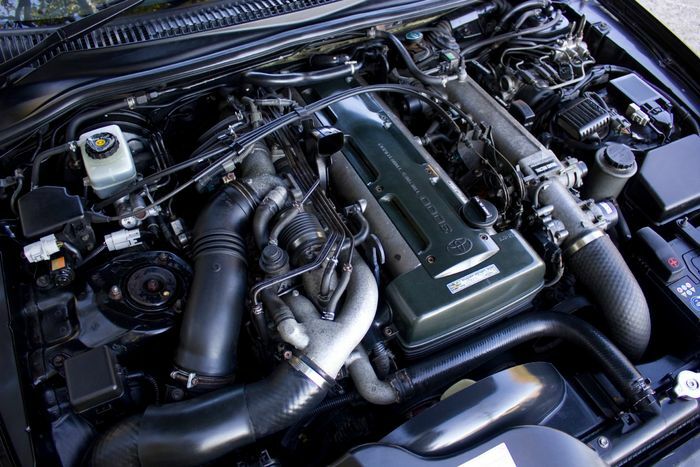 Torque converter-based automatics often pair well with stout engines, too – and the twin-turbocharged 2JZ-GTE pounded out 326bhp and 325lb ft. There was also one less obvious benefit. While six-speed Supras had their appeal, Getrag had long stopped producing parts for the transmission. If it broke then repairs were going to be impossible or horrifically expensive; even used transmissions could cost upwards of £5000. The A340E four-speed automatic, on the other hand, was easily rebuilt and durable. Having paid the invoice and signed the paperwork, I prepared to find out whether my automatic-related musings were right or wrong. I turned the key, listened to the engine settle into its silky idle, and ratcheted the shifter back into ‘D’. The Supra bounded forward eagerly as the brakes released, torque pouring positively from the straight-six engine to the rear axle. There was little hesitation; it surged ahead as soon as you tipped in on the throttle, with little of the slurring that you might expect from a mid-’90s automatic. As the road opened up, and the Toyota’s sequential turbocharging system set to work, it became clear that this wasn’t the blunted, unrewarding experience that some claimed it to be. Each subsequent ratio would engage quickly and firmly, making the transmission feel direct and stout. 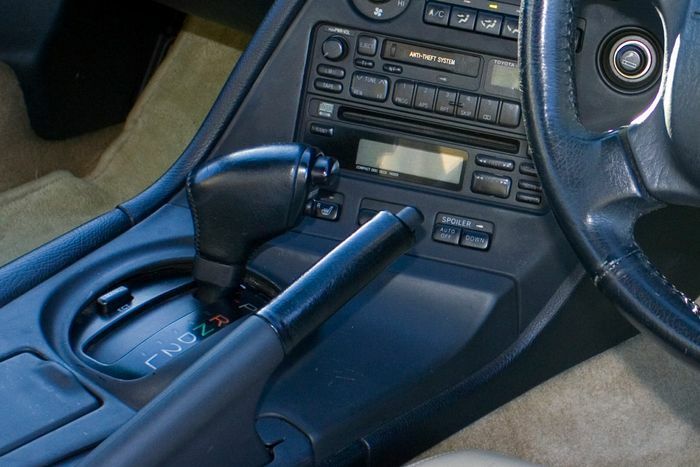 Sure, it lacked interaction compared to the six-speed alternative, but you could lock it into manual mode and assume more control if required. It certainly wasn’t slow, dashing from 0-60mph in just 5.6sec. 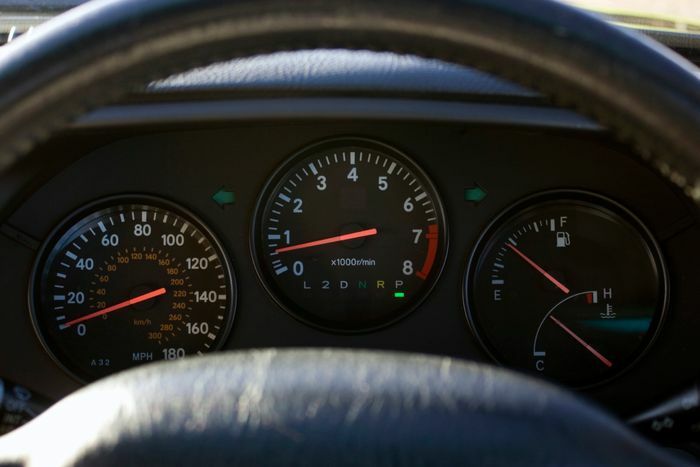 There were performance advantages, too; it was effortless to promptly and repeatedly launch the car from a standing start, as is the case with all automatics, and you’d have no missed shifts or between-gear lag to deal with – the Supra would just move out and keep on pulling. Those looking for a comfortable GT would further appreciate the auto’s smoother, more relaxed nature. The rest of the Toyota was as expected; it was comfortable, solid, stable and packed tremendous passing power. It also quickly transpired to be a gratifying car that could be driven daily with zero grief, adding to its appeal. 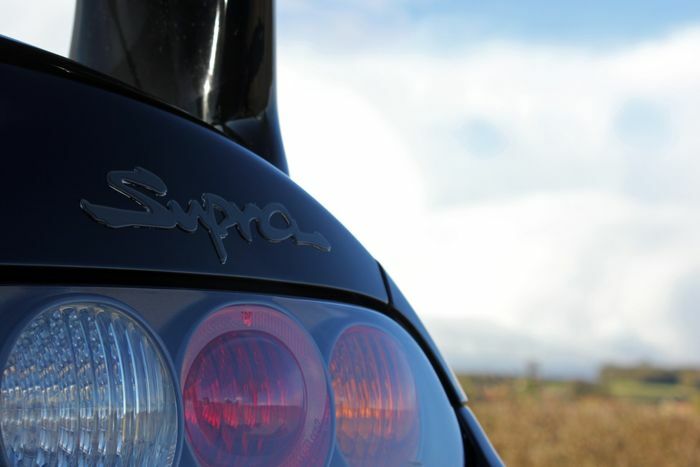 My affair with this particular Supra was destined, that said, to come to an end before a year had passed. When I bought the car I envisioned carrying out a few choice upgrades, in order to personalise it and make it more entertaining, but the more I thought about it the less appealing that idea seemed; fewer than 300 UK models were left and mine was unmodified, so any changes would tarnish its survivor nature and likely devalue it. Consequently, as time passed, I began to feel like its custodian instead of its owner – and, as my inclination to do anything with it waned, I realised selling it was the sensible move. 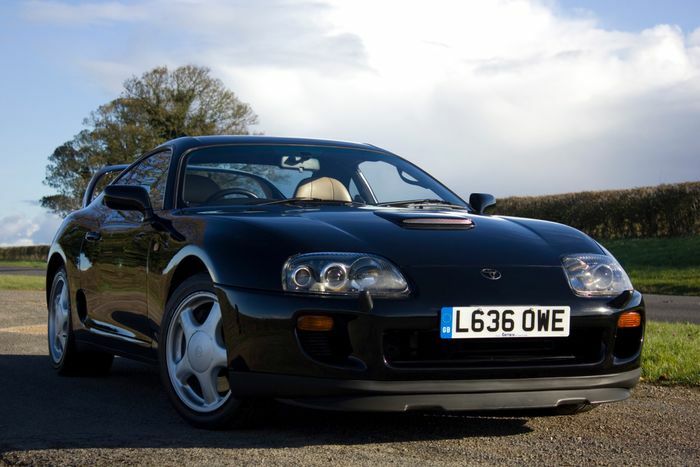 Still, I had ticked a box, had my fun and found out how good an automatic Supra could be. I also managed to get my money back out of it and, to my amusement, the new owner transpired to be the rival bidder from the auction I’d bought the car from. If the chance to own one ever came around again, though, I’d certainly not turn my nose up at an automatic. I’d even be willing to give the naturally aspirated versions a try, just out of curiosity. I’d suggest that only collectors and die-hard enthusiasts should pursue UK cars, though, particularly if they’re standard examples. 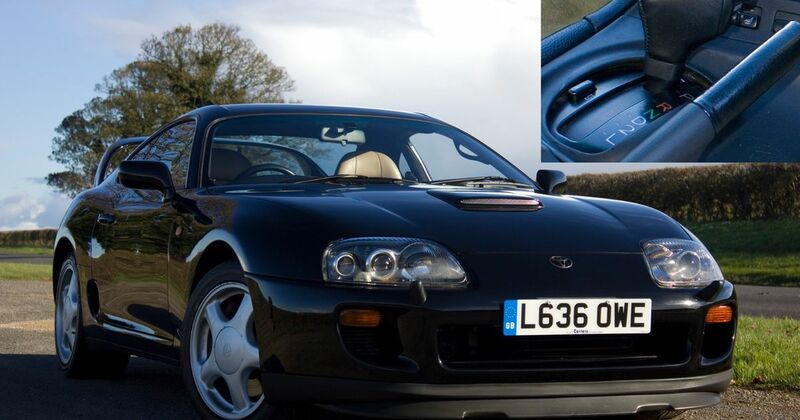 Instead, if you just want a Supra you can enjoy, save some money and buy a clean Japanese import – then sling on a few inexpensive modifications, wake it up a little and enjoy what is unquestionably still one serious piece of machinery.